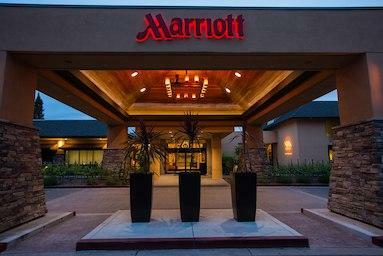 Beginning Monday, June 15, you may register on-site at the Napa Valley Marriott Hotel, Napa, CA 94558. Refer to the Daily Schedule for registration hours. Registration is located in the Grand Ballroom Foyer. The call center will be open from 6:00 am to 5:00 pm (PDT), Monday through Friday. Become a member today and save on registration fees! General Registration Includes: research reports (oral and poster), Supplier Displays, award and keynote presentations, Poster Session, Flash Talks, Regional Wine Reception, and Student-Industry Mixer. Early Career Member Rate: Professional members that were previous student members and have graduated within the last two years will receive the Student Member rates. Please contact us for a promotional code. *CAWG Members are welcome to register at the ASEV Member rates. Please contact us for a promotional code. Housing will open early April. Please check back. Housing for the 70th ASEV National Conference is now open. Conference rate will be valid when housing opens in April and will be valid through Monday, June 3, 2019 (based on room availability). Conference rate will be valid through Monday, June 3, 2019 (based on room availability). Reservation information will be available when housing opens. Single/Double Occupancy: $219/night plus state and local taxes in effect at the time of check-in (currently 15.24%). Note: You will see a charge for a daily amenity fee of $21.55 on your confirmation email, but you will not be charged for these amenities at check-out. Relax in style in our beautifully redesigned Napa Valley rooms which are full of natural light. Guestrooms offer a spa-like bath experience with marble counters and cozy robes, in room refrigerators and state of the art Enseo guest entertainment systems. Refer to your hotel confirmation for cancellation information. You may cancel your reservation for no charge until 3 days before arrival. If reservations are NOT canceled 3 days in advance, a “no-show” fee equivalent to one night’s room rent will be assessed. Each guest making their reservation must put down a method of payment at the time reservation is made. The guestroom is not charged to the credit card until guest departure. When the guest checks into the hotel, an authorization is put on the credit card or debit card equal to one night room & tax charges. This authorization stays on the credit card or debit card for up to 7 days after departure date. We caution you if you are contacted by outside groups making offers for hotel reservations for the national conference in regard to your security. Registration and Housing will open early April. Please check back. Pre-registration rates are valid through June 11. After June 11, you may register online or onsite and rates will be $25 – $75 higher (fee will only be applied once if registering for multiple events). Registration confirmations will be sent to you by email immediately after you register. Click for rates and additional details!